Hiya! Just a quick post, I'm going shopping with one of my friends today. I wanted to show you a mani I did last week for a really good friend of mine. 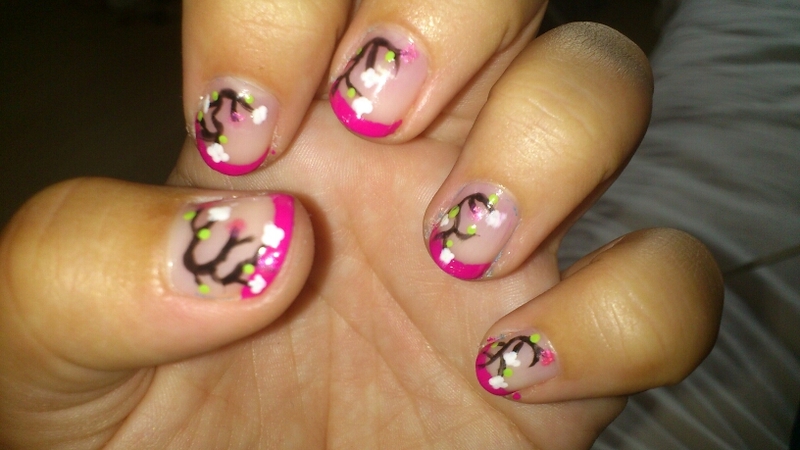 She found something on the internet she loved and she asked me to paint that on her nails. So here it is! Once again, I forgot to bring my camera and even though my phone has a good camera, I forgot to take pictures. So this is one she made and then emailed to me. It was kinda funny, it was the first time I loaded my polish case into my car to do someone's nails. I felt almost like a professional :-p I guess her parents must have thought I was a nutcase for carrying hat suitcase full of polish around with me :-p Just to do her nails! Oh no, my lunula is missing!